This hike is in the Blue Hills, midway between Boston and Providence. It’s a great area to explore whether or not you have a lot of hiking experience. See the trip posting for more information and to sign up. 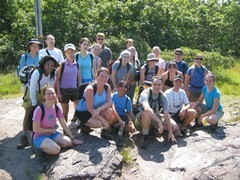 I’m going to co-lead a beginner/intermediate day hike with the in the North Pack Monadnock area on Oct. 10. It’s a Boston AMC Young Members event. 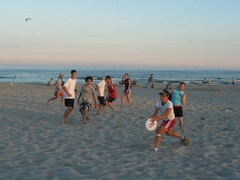 Most participants will be in their 20s and 30s, but there’s no age limit. AMC membership is encouraged, but not required, and the trip is free. 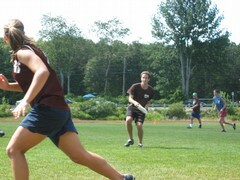 See more details at the Narragansett AMC Young Members site, which I just set up a few days ago. 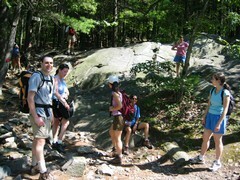 I’m co-leading two upcoming New Hampshire hikes for the Boston AMC Young Members. On Sunday, Oct. 3, join us for an interesting beginner hike on Squam Mountain during foliage season. 5 miles. Read more information and register. On Sep. 17-19, we’ll have car camping and a somewhat advanced 10-mile hike over the Baldies loop trail, summiting North and South Baldface. It’s known as one of the best hikes in the White Mountains. 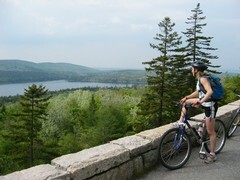 We’ll have some terrific views of the Presidentials. Includes some steep, exposed ledges, and finishes up with a visit to Emerald Pool. Waitlist only. Read more information and register for the Polish Off the Baldies trip.